Over the last decade, Gap has been struggling to attract younger consumers, as well as win back those who no longer shop there. The fashion retailer has also been facing declining same-store sales figures and earning lower revenue than in previous years. The New York Times reports that the Gap is trying to remedy its problems by refocusing its marketing to recapture the infectious fun of its famous ’90s advertising campaigns. “This is not a five-year turnaround strategy,” said Seth Farbman, global marketing executive at Gap. “This is a right-now.” In an effort to reclaim Gap’s status as a ‘people’s brand,’ he wants to refocus Gap’s advertising on fun, optimism and value for the money. Still, the right marketing needs the right merchandise, so Gap is rapidly creating more stylish apparel that reflects what people want to wear. 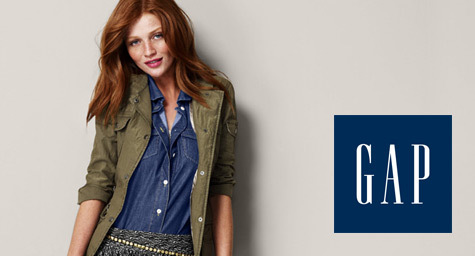 This is one of many changes currently underway at Gap stores. The thinking is if the advertising conveys a fun, upbeat approach to fashion, then the stores should perfectly match that image.